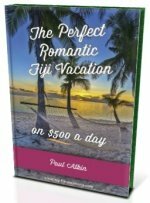 Want to find out about the Fiji people? 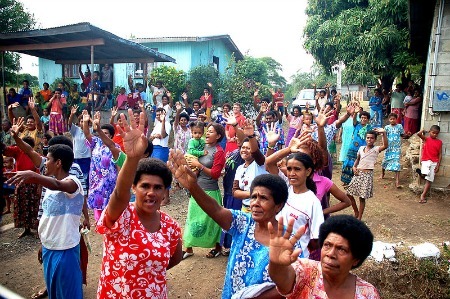 Explore behind that friendly smile of what makes up Fiji's most important asset, it's people. Today, there's an interesting mix associated with today's people of Fiji. When one arrives, the first impression is of the warm friendly smile unmatched anywhere around the world. Upon my first visit to Fiji, I was wondering why there were a lot of indians around which I found quite fascinating. This is covered in our Fiji Indians section down further. Also, I found that the Indigenous Fijians and the Fijian Indians lived and worked side by side but yet seemed explicitly different. The fact that there are 3 official languages of Fiji says something about it's multicultural past. English is widely spoken, very convenient for visitors, and was a part of the United Kingdom until 1970. Something that most people don't realise when arrving in Fiji for the first time, is that Fiji is a mixture of languages and cultures which isn't immediately apparent. That's the topic of our first segment. Trace back to the beginnings of the indigenous Fijians who used to call their land Viti. From their Melansian culture which is evident today, to inter-tribal fighting (which stills exists in other parts of the world today incidently) to cannabalism, to the Tongan incursions, to Europeans arriving, to the ceding to the British Empire, to the recruitment of Indians. Read up on our Fiji Native page. When you come to Fiji, it is a must to venture away from your cosy resort to explore Fiji's fascinating culture. Various tours are available depending on your location. A village visit is a must-do especially in remote areas which catches a glimpse on how most Fijians live today. 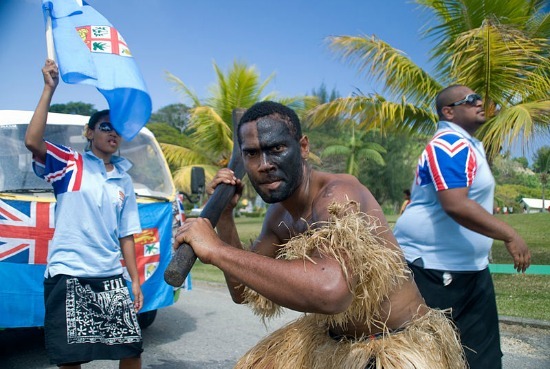 Find out more about today's indigenous Fijians on our Fiji Islanders page. Fijian Indians or Indo-Fijians as they are also known, comprise of around a third of Fiji's population. It was up to almost a half a decade or two ago but mass migrations has since been happening as a direct result of the coups. Read up the history up to the current day on our Fiji Indian page.